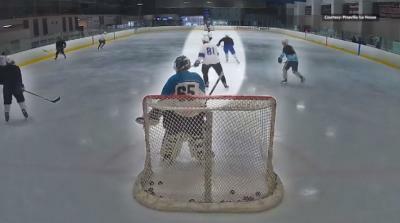 It was truly a "miracle on ice" when a North Carolina doctor saved a fellow hockey player's life during a pickup game. Dr. Craig Bryant, whom Street calls his "guardian angel," and other teammates quickly jumped into action to save his life. Bryant immediately began CPR and used an AED unit. Street didn't have a pulse for five minutes. “It took a village, there were so many guys that were involved," Bryant told him.